What is CBD and why does it work? It is one of the new and outstanding discoveries in science. The ECS regulates a variety of biological processes, such as relaxation, feeding, sleep, certain inflammatory reactions and even cognitive function. In short, your ECS is responsible for the optimal function of your body - it's no small task! 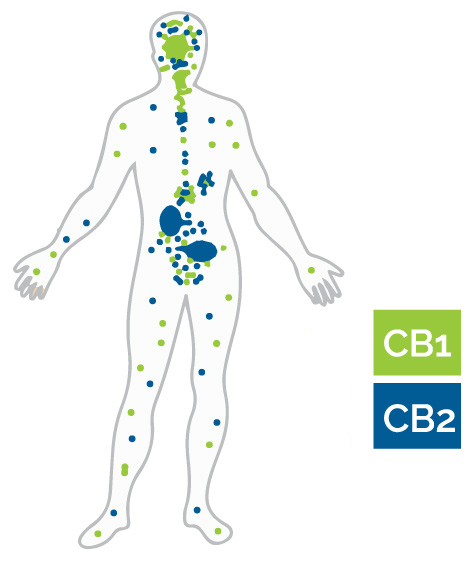 Endocannabinoids and their receptors are found throughout the body. However, while the Endocannabinoid System performs its tasks, experts believe that the function of the ECS is the regulation of homeostasis. It is difficult to define a system as complex as the ECS, but it is important to know that there are two types of important receptors - CB1 and CB2 - in the cells of the body. They are abundant in the brain and immune system. The body produces cannabinoids in a natural process (such as endocannabinoids: anandamide and 2-AG) that share chemical structures similar to cannabinoids derived from plants like CBD. Do you already use CBD? Not all companies are created equal, so always do your research before purchasing. CBD is relatively new to the United States and isn’t as regulated as well as other supplements. Manufacturers and marketing teams take advantage of this by letting you assume their product is pure CBD. The naturally occurring THC in hemp has a 10% chance of showing up on drug tests when ingested. Not all CBD brands label this. Some manufacturers make THC free products which are ideal for people who are drug tested by their employers. CBD isn’t found in every part of the hemp plant, and some companies take advantage of this by marketing hemp seed oil, which contains no CBD. While still healthy, hemp seed oil doesn’t provide all the benefits of CBD. Several manufactures have received warning letters from the FDA because their product composition doesn’t match their label. Did you see us at the La Crosse County Fair? Did you enjoy your salve samples? If so you can order more online! Do You still have questions? Don’t hesitate to call or email us!